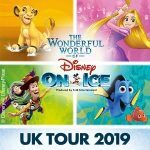 As you know Disney’s ‘On Ice’ touring ice shows have been in production for year, set up, managed and produced by Feld Entertainment under agreement with The Walt Disney Co. But do you know when the first one was? Well, the very first production took place in 1981 in Lakeland, Florida pretty close to the home of all the characters down there. Ever since it’s been a global smash, touring throughout the USA, Australia, Asia, The Middle East, Europe and into the UK. 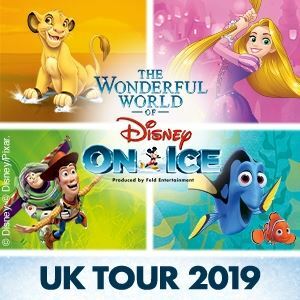 They average around two productions in a year, always bringing a new show to the arenas along with an ever changing range of your favourites characters, old and new. 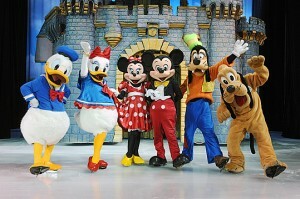 The exhilarating performances demand that the skaters are in amazing physical condition to perform deft manoeuvres whilst in the character costumes. The first show was ‘World on Ice‘ in 1981 and was swiftly followed in ’82 with ‘The Great Ice Odyssey‘. The 1999 production celebrated a 100 years and featured an awesome list of over 65 including Snow White, The Little Mermaid, Beauty and the Beast, The Lion King, Pocahontas, Toy Story, Aladdin, Cinderella, Pinocchio and Mulan.